Quite a while back, a gamer friend of mine hipped me to a survival horror title that really seemed intriguing. 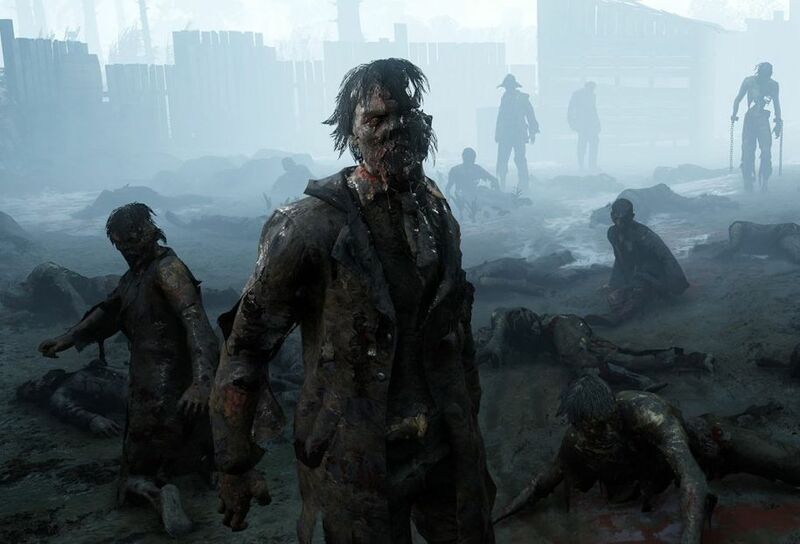 Hunt: Showdown as it is known, was very early in development at the time, and although I saw its promise it was way too rough to be released as an Alpha. Interestingly enough, around that same time I’d heard of another similar game called Escape From Tarkov, which was equally rough around the edges. 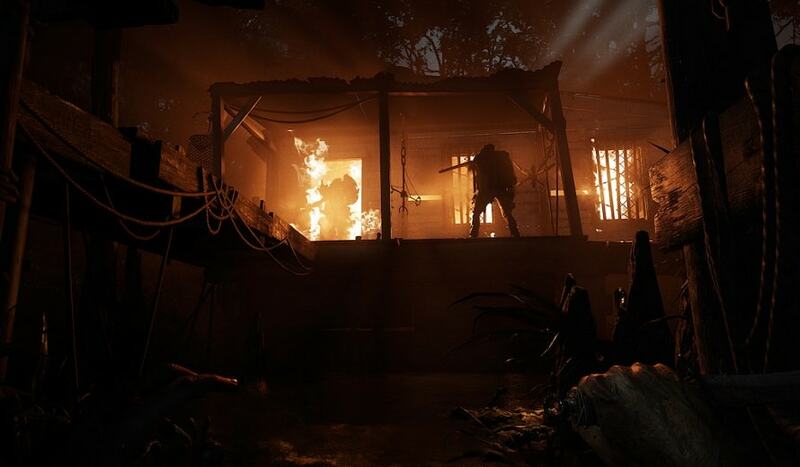 You see, both games deviate from the standard survival trappings because they both focus on going out on missions (known as Contracts in Hunt: Showdown) and trying to kill enemies. And in both, you go up against other real live human players as well as AI foes. In this way, these two games partially straddle the immensely popular battle royale genre (PUBG, SOS, The Culling). 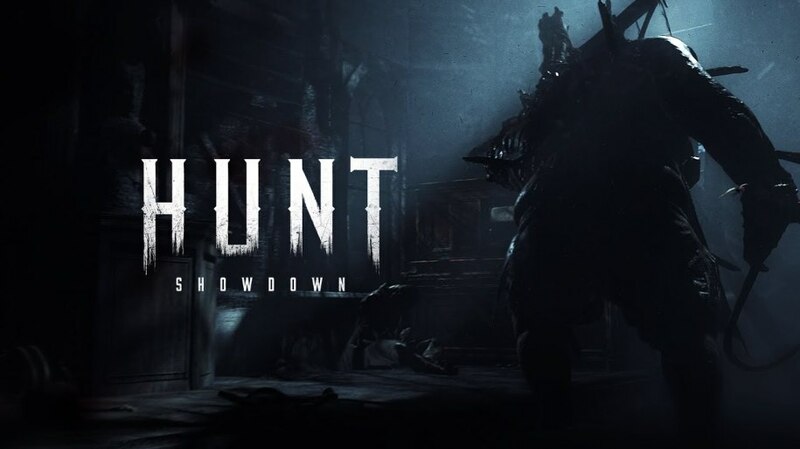 However, Hunt: Showdown in particular is the only horror title out there of its kind, while the others are more traditional shooters. 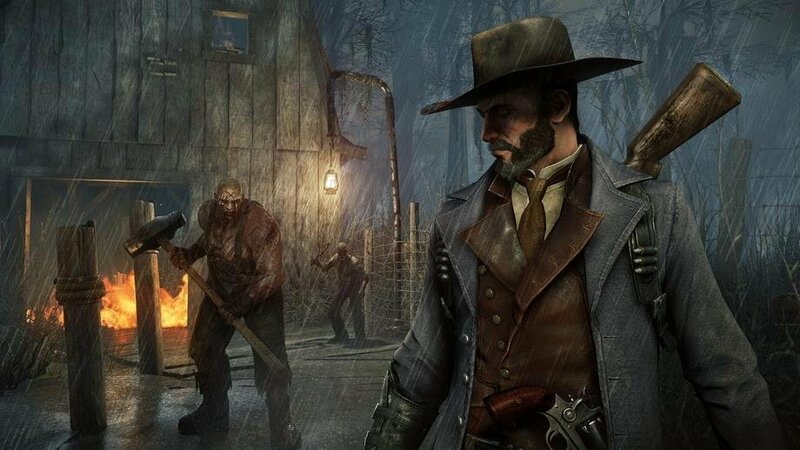 What’s also very distinctive about this game is that it’s set in a Wild West timeline, complete with six-shooters, old-school shotguns, and of course, rifles. 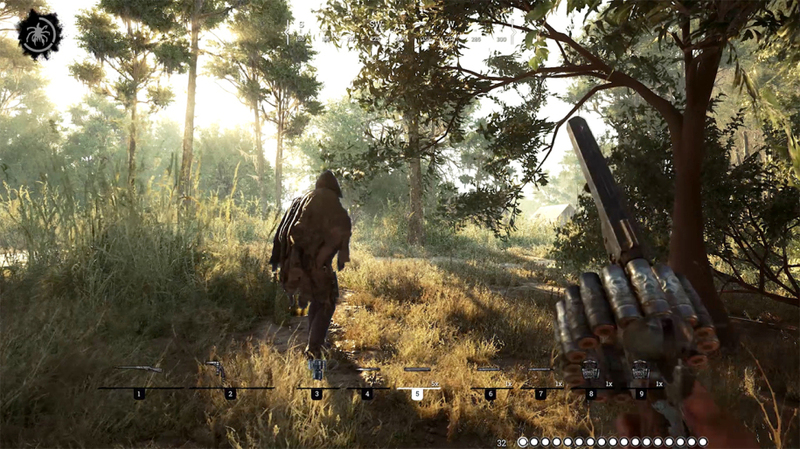 The game’s setting, characters, and monsters are all rendered using Crytek’s CryENGINE 3. Personally, I think that this graphics engine is the best on the market right now. Unfortunately, Showdown’s server stability and general client optimization are in pretty rough shapes right now which is understandable since it just debuted in its Alpha state. 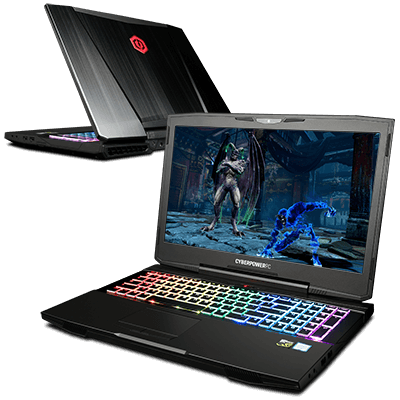 In this regard, you’ll frequently run into framerate issues and graphical stutters along the way. I know that games are supposed to be rough when they’re released in Alpha, but this has to be one of the roughest ones I’ve played so far. Each game starts off with you picking a Contract, which then has you tracking down one of two types of big, bad, boss monsters. The two come in the form of a juggernaut-type known as The Butcher, and the other one is a quickly moving horror called The Spider. After deciding which creature you want to hunt down, you’ll enter into the game’s sole map (at this point at least) and get to trackin’. What I like about Showdown is that you can tackle a Contract in many different ways. For instance, you can investigate each map using your Black Sight (think Batman’s Detective Vision) in order to find clues to the monster’s location, or you can just stalk other teams on the map and try to take them out. If you’re the patient type, you can locate the boss monster and then lie in wait for other players to find and attack it. Once they have killed it (and are thus wounded) you can swoop in and take them out as well. The only problem with this strategy, however, is that there are other monstrosities sauntering around the entire map, so you have to constantly be watching your back. The boss monsters are pretty much bullet sponges, which was a little disappointing. For example, once my co-op partner and I realized that the baddies couldn’t leave their lairs, we proceeded to just sit back outside of doorways and fill them with lead until they were dead. That was somewhat of a letdown in terms of immersion so I really hope that the game’s devs fix this issue in a future patch. It would be much more frightening if these creatures could chase you across the entire map (or at least farther than they can now). There’s a nice twist to Showdown’s game format towards the end of each match—whomever manages to kill the main boss monster will trigger a warning that marks their location, while they begin the monster’s lengthy banishment process. The players who did the monster killing will remain marked thereafter until they make it to one of the extraction points on the map. So, in essence, the hunters become the hunted. Tarkov has a similar extraction point mechanic going on at the end of each round, but in Showdown it can be a little tenser since you’re marked until you make it out. 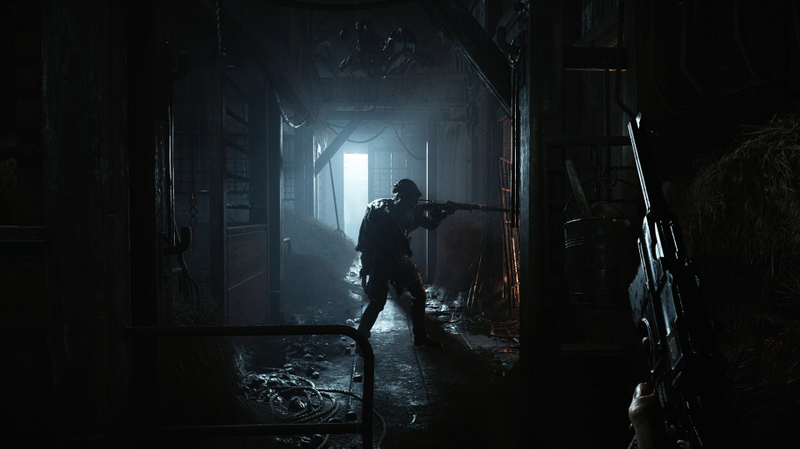 Hunt: Showdown has tremendous potential if it is handled with care. If Crytek can get rid of the game’s server stability and general client optimization issues, they could have a real winner on their hands. We’ll see how it progresses.